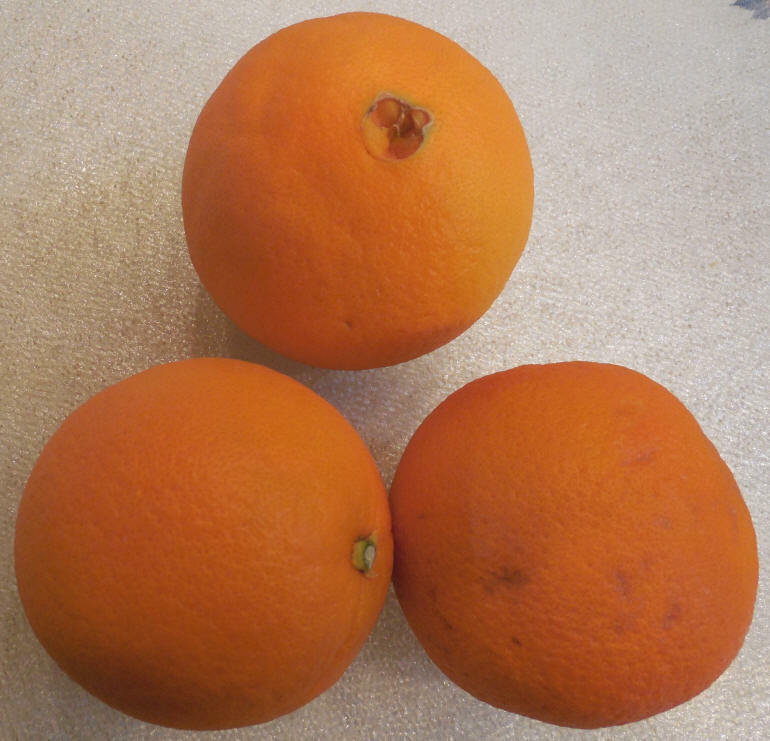 Cara Cara Navel Oranges are a sweet, low acid, variety of navel oranges that have a inner red fruit similar to ruby red grapefruit. It is a cross-pollination of a Washington Navel Orange and a Brazilian Bahia Navel Orange. These oranges were discovered in 1976 in Venezuela at the Hacienda da Cara Cara, from which they derived their name. The cost of these navel oranges was very similar to the cost of other navel oranges in the supermarket, so price should not be a consideration in their purchase. We could not find any comprehensive nutritional information for these oranges.